You need a cooling delicious in this Hot Summer ! Instead of black and white hot water boiler and dispenser, try this new colorful water boiler, as your life is ! Not Only Black And White, Instead Of As Colorful As Your Life Is! Compact Size and light weight Only 4.7Kg, Full Stainless steel Base! 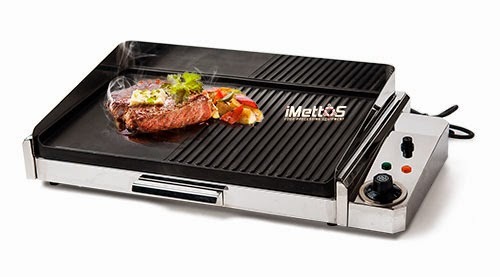 Elegant Appearance, Fashionable , Table top grill is ideal for steaking beef, meat chicken and for home and restaurant using. ©2014 iMettos Food Equipment. Simple theme. Theme images by hatman12. Powered by Blogger.